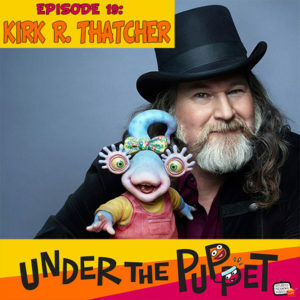 http://www.UnderThePuppet.com – This episode we have a bit of a different perspective on the art and business of puppetry as we interview writer, director and creator Kirk R. Thatcher. Kirk has fantastic stories about working on Return of the Jedi and Star Trek IV. He also worked closely with Jim Henson. We discuss a bit of how he works and I get his thoughts on pitching projects and what directors look for when casting puppeteers.